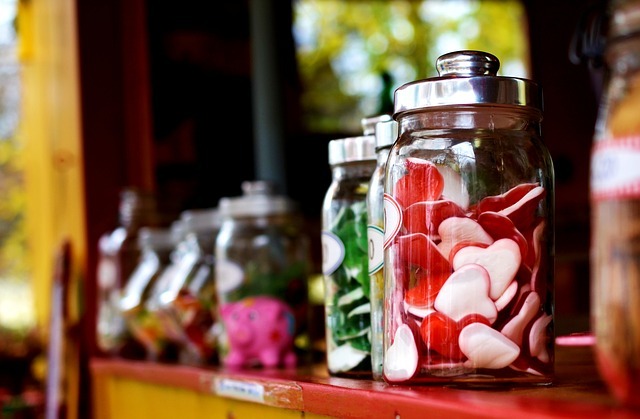 Do you love sugary treats, snacks or drinks? You’re not alone: many United States citizens consume far more sugar than they need. In fact, the average citizen consumes more than 126 grams of added sugar per day – the equivalent of drinking 3 12-ounce cans of sugary cola products. These levels of sugar consumptions are astronomical in comparison to what other people around the world eat. They’re also more than twice the amount ofwhat the World Health Organization recommends eating per day. Unfortunately, an obsession and overindulgence in sugar contributes to a plethora of health problems, including tooth decay, weight gain, heart disease, and diabetes. Even individuals who are active and who are a healthy weight can feel the sting of high-sugar diets. And while some sugars occur naturally in the foods that we eat, and are not considered to be a major health concern, many of them are added in to our meals and snacks – often in large, unhealthy amounts. 1) Cut sweetened beverages from your diet. Removing (or at least limiting) the amount of sweet tea, lemonade, fruit juice and punch, enhanced waters, fancy coffees, smoothies and other sweet beverages from your diet is one of the simplest ways to cut down on your sugar intake. Currently about half the people in the U.S. consume sugary drinks in a day – and 1 in 4 consume at least 200 calories from such drinks. Since The American Heart Association recommends limiting added sugars to less than 100 calories daily for women and 150 for men, many of these sweet drinks will easily push your sugar intake past the “healthy” limit - and that’s before you consider what you’re eating! Rather than drinking sugary beverages, try drinking plain water – and if flavor is an issue as you make the switch, trying adding in lemon, mint, cucumber or mashed fruits for a dash of something sweet. 2) Limit sugary treats and snacks. While cutting out sweets and desserts altogether is not necessary (and not even recommended), limiting them will go a long way in helping to reduce your sugar intake. Try picking a day or two a week where you can enjoy a candy bar, a serving of ice cream, a brownie or other favorite snack. A “sweet treat” plan like this will not only give you something tasty to look forward to on certain days of the week, but it can also be easily integrated into any overall diet and exercise plans you may be developing. 3) Trade your snack bars for real fruit. If you find yourself craving sweet foods during the day, indulge in that craving – by eating a serving of naturally sweet fruit. Not only will this help you reduce the number of added sugars in your diet, but it will allow you to benefit from the fiber, antioxidants and vitamins that naturally exist in fruit - which will keep you healthier than a diet of empty calories and added sugars would. 4) Read the labels: look for hidden sugars. Nutrition labels can help if you’re looking to monitor your sugar intake. However, don’t just limit yourself to reading the “Sugars” percentage that’s listed; check the ingredients as well to get a feel for just how many sugars are really in what you’re eating. The ingredients will be listed in descending order by weight– so if sugar's near the top of the list, there’s a lot of it in your food! Of course, you’ll also want to check for hidden sugars – because the more hidden sugars you see on a nutrition label, the more added sugars there are. 5) Tweak your overall diet. Cutting out sugary beverages and switching out some snacks will help you reduce your sugar intake, but there are also other dietary changes you can make to adjust the amount of sugar you eat. For example, you can buy and eat foods – particularly dairy products – that are labeled "no added sugar" or "unsweetened”. You can also buy fewer packaged goods, as the majority of these items contain lots of added sugar. And adding more protein to your diet will help to keep you feeling energized and full for longer periods throughout the day – a helpful thing if you’re adjusting to a reduced sugar diet. 6) Track your sugar intake. Don’t just say you’ll eat less sugar – make sure that you do with a dietary tracking tool. Many free ones exist online or as downloadable apps for phones and tablets. By monitoring and tracking your daily diet, you’ll be able to see if you’re consistently meeting your sugar goals or not. And doing this will likely also help you address other nutritional needs as well – a win-win! While cutting down on the amount of sugar we consume can feel like an overwhelming task, it is doable. By taking small steps and working day by day to monitor the amount of sugar that we eat, you can truly make a positive impact on your overall health. Just take your time, and contact your doctor if you have concerns about how to make changes that will benefit you and address your personalized health needs.